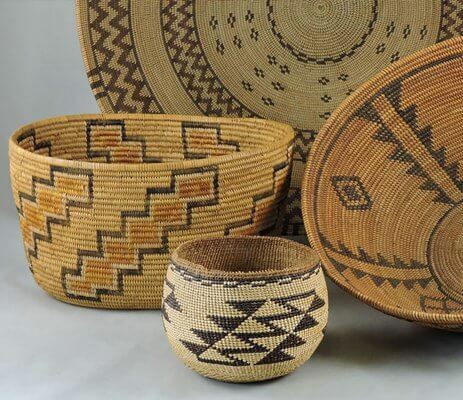 The blend of Native American Indian Pueblos—from Acoma to Zuni to Hopi, as well as the Navajo Nation—and Western ways of life make for a unique Southwestern culture. 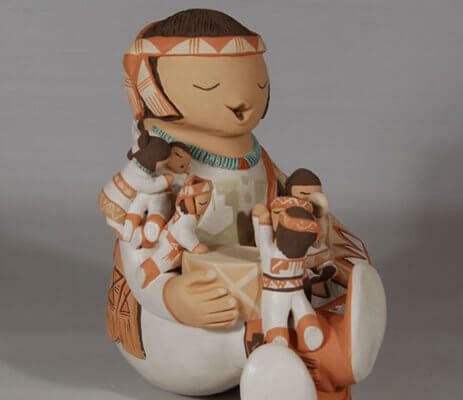 The preservation of the Native American Indian traditions and the influence of contemporary culture can be seen in the various art forms characteristic of the region. 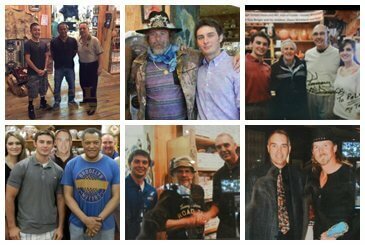 Because Palms Trading Company buys directly from Native American Indian artists, there’s no middleman distributor. 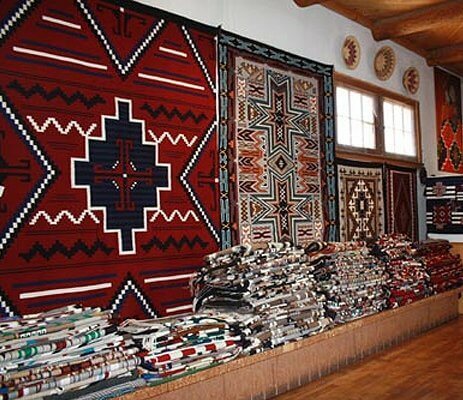 That allows Palms Trading Company to sell our Native American Indian items at low prices. In the store, the suggested retail price is clearly marked on each piece, but our customers pay half of the listed price unless a piece is also labeled “net”. Online, you’ll only see the actual cost—the pieces are already marked at the 50% discount, and net pieces are marked as such. Palms Trading Company began as a local grocery store where Native American Indians would trade their crafts for groceries. 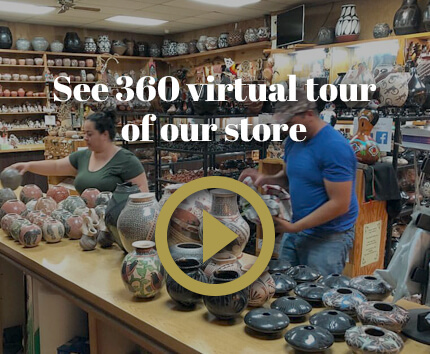 We’ve held fast to our humble beginnings, buying jewelry, pottery and other crafts directly from Native American artists. 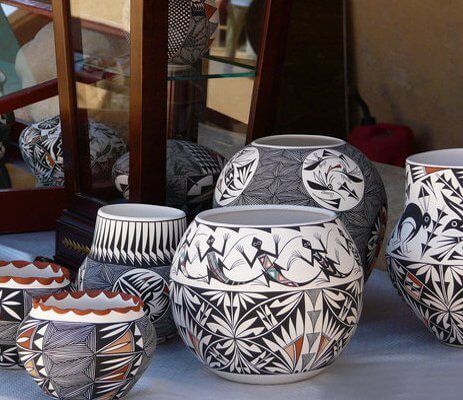 Palms Trading Company carries unique and authentic American Indian pottery, jewelry and other crafts. 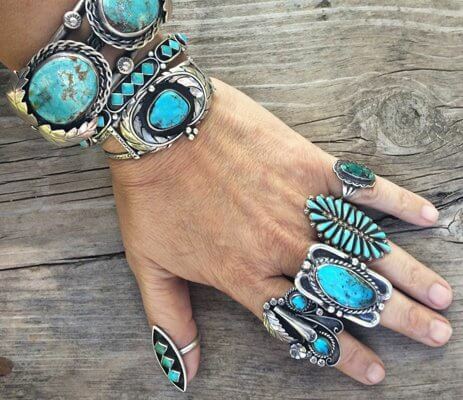 Each piece is one-of-a-kind; you won’t find another like it anywhere else. 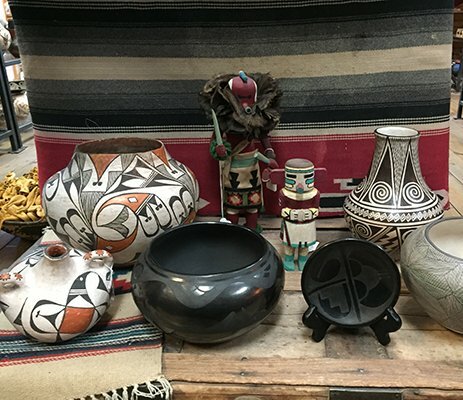 Whether you’re looking for a Southwestern accent for your home décor, a new necklace to fit your individual style or a unique gift for your friend, Palms Trading Company is where you’ll find it. 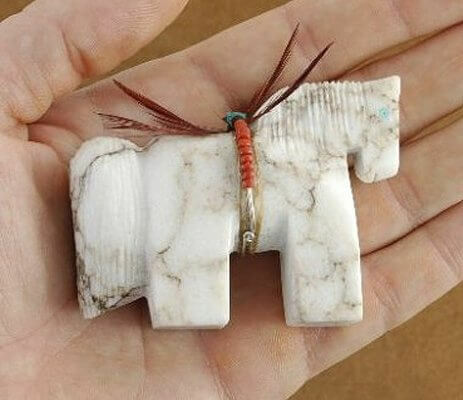 Our online selections are only a fraction of our total array of Native American Indian art and crafts. If you need help finding the perfect gift, take advantage of our personal shopper service. 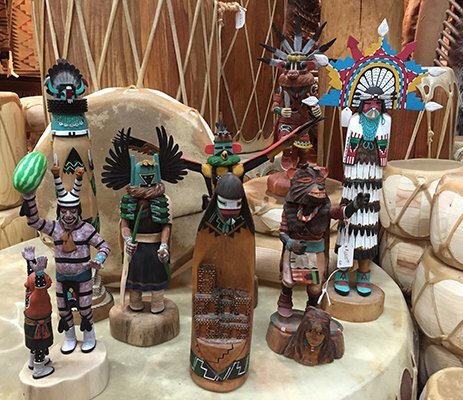 The staff at Palms Trading Company has a passion for Native American Indian art, and we’re happy to share our expertise with you! 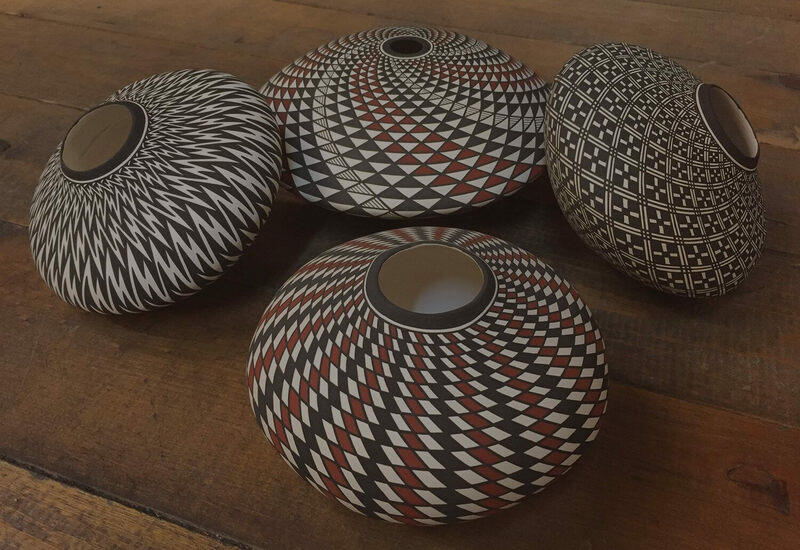 For over 30 years, owner Guy Berger and his family have developed relationships with the artists and studied Native American Indian art and culture, and we’ve become a resource for information about Native American Indian art. 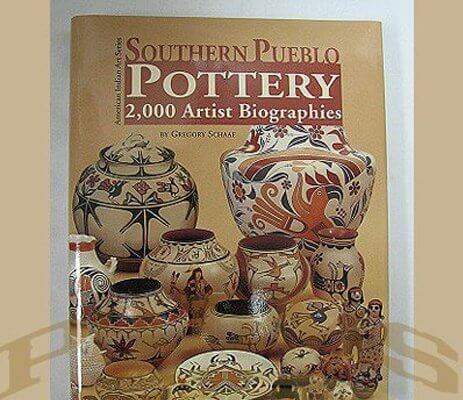 In fact, Guy has written three books exploring the different pueblos’ pottery styles and techniques and one book on Mata Ortiz pottery.